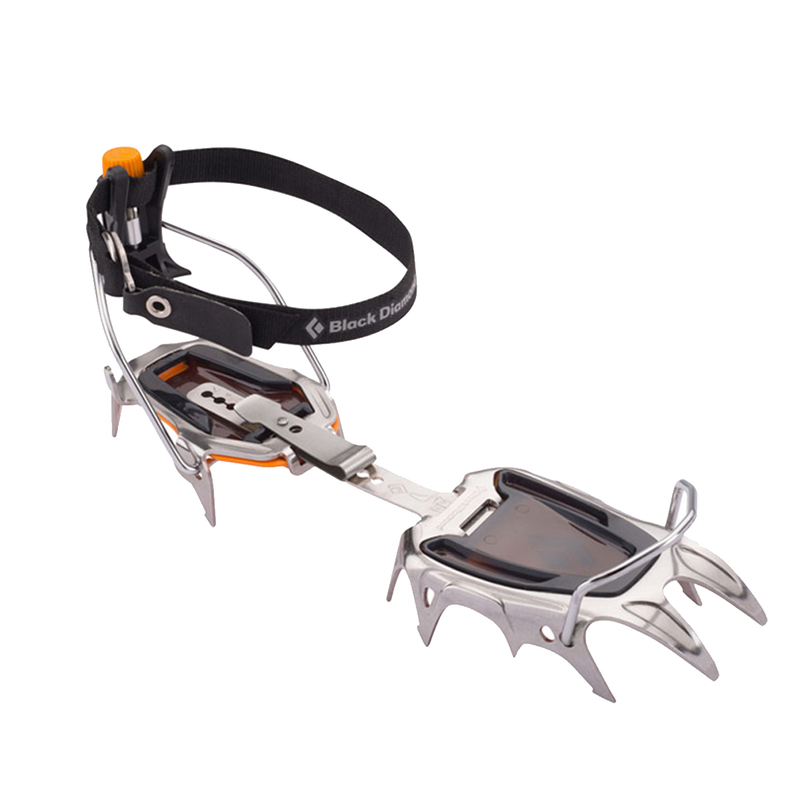 The Black Diamond Serac Crampon is a lightweight, 12-point crampon for snow and glacier travel. The Serac's redesigned stainless steel construction incorporates a strong, yet light design with rocker in the front rail to accommodate modern mountain boots. Horizontal frontpoints provide secure bite in icy steps, while the classic secondary points and substantial rear points offer stability on descents and low-angle terrain.